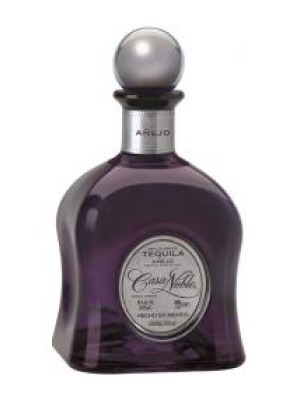 Casa Noble Tequila Anejo is a popular Tequlia available from TheDrinkShop in 70cl to buy online. Visit TheDrinkShop for the best price for 70cl of Casa Noble Tequila Anejo or compare prices on our other Tequlia products. Casa Noble only makes 100% agave tequila from blue agave grown organically (certified USDA) on 650 hectares of their own land in the hills of Jalisco. A succulent native to Central America, it thrives in this arid climate and high altitude sites. Pale gold in colour, the anejo has rich aromas of dried fruit. Toasted oak, spice, butterscotch and sweet cooked agave characters make this a delight to sniff and sip. Aged tequilas show aromas developed from their maturation in oak, such as vanilla, almond, sweet melon and honey overlaying the gentle vegetal notes from the blue agave. Where to buy Casa Noble Tequila Anejo ? Casa Noble Tequila Anejo Supermarkets & Stockists. You can buy Casa Noble Tequila Anejo online in most retailers and find it in the Tequlia aisle in supermarkets but we found the best deals online for Casa Noble Tequila Anejo in TheDrinkShop, Amazon.co.uk, and others. Compare the current price of Casa Noble Tequila Anejo in 70cl size in the table of offers below. Simply click on the button to order Casa Noble Tequila Anejo online now.